I never say wow to any among the chinese food, but I love this egg drop soup to the core. I tried this with chicken broth, but you can also use vegetable broth for veggies. It gives a real delectable taste. This is the one I often like to have in winters. I will post the step by step pictures later. I will give detailed text explanations now. Lets go to this delectable yummy soup. Take chicken broth in a pan and brings it to boil. Take the frozen corn and defrost it. Add the corn to the boiling chicken broth. Take egg and beaten it in a separate bowl and keep it aside. Mix corn flour and water to the a thick paste and mix it to the boiling broth. Adjust your consistency of the soup by increasing and decreasing the corn flour paste. Stir continuously, Otherwise that paste makes few lumps in the soup. Take the fork and pour the beaten egg mixture on the fork and slowly it will go to the boiling broth, mix gently. Switch off the stove and serve it hot with pepper powder. To avoid lumps in the soup, stir continuously after adding corn flour paste. 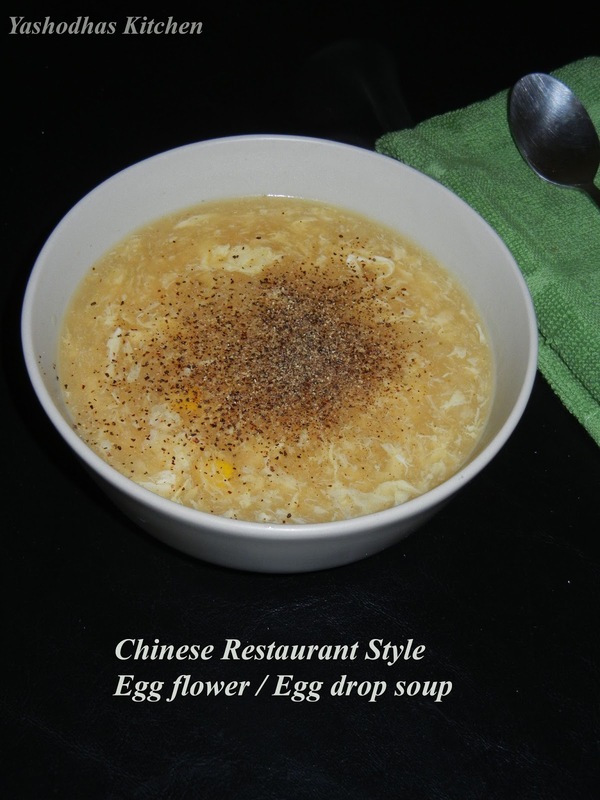 While adding beaten egg into the broth, don't forget to add it through the fork. then only it will go into the broth slowly.